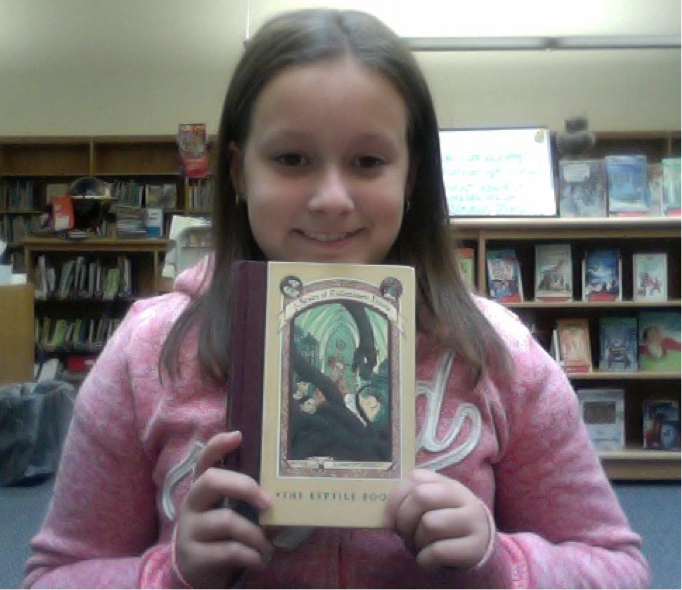 Tiana recommends “The Reptile Room”! My name is Tiana Daniel and I’d like to tell you about a great book I’ve just read called Series of Unfortunate Events: The Reptile Room by Lemony Snickett. This book is about three young Baudelaire siblings named Violet, Klaus, and Sunny, who used to live with their mother and father, but they died in a fire. The Baudelaire orphans had to live with someone else, so they moved in with their Uncle Monty. Their uncle is a scientist, who studies snakes and other reptiles. The three young children love living with their Uncle Monty, but an evil man with one eyebrow and an eye tattoo, named Count Olaf, wants to steal the Baudelaire fortune. Will the orphans ever figure out Count Olaf’s plan? Will something happen to their uncle? Read this book to find out. You can find this book at our school library.